Free Shipping on All Medallions! Construction and thickness varies depending on design and requirements. 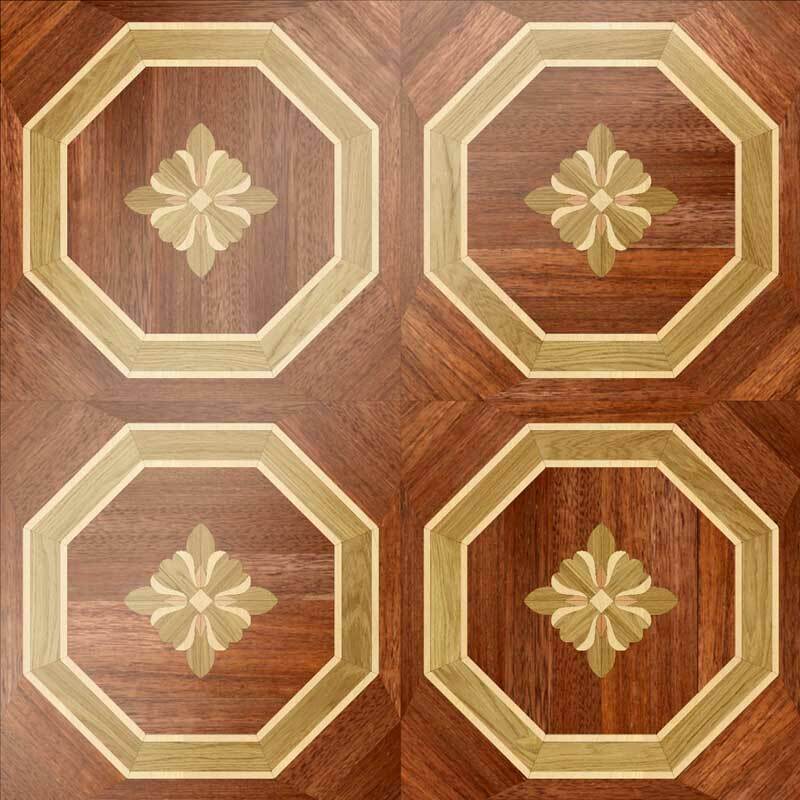 Some parquet patterns are made in 3/4" solid wood. 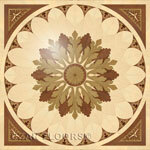 More intricate designs are made with 5/16" top wood layer and plywood base to net to 3/4". 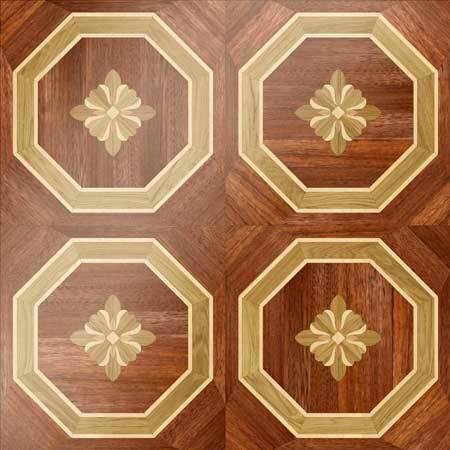 Parquet flooring is sold by sq.ft. Minimum order quantity is 100 sq.ft. Single wood parquet pattern is typically shown in plainsawn White Oak. It can be done in Red Oak for the same price. It can be also constructed from a variety of domestic and exotic wood species for an additional charge. Parquet can be glued down to the plywood subfloor or concrete using recommended adhesive Bostik Best. 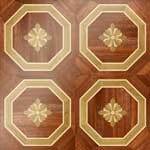 For more details check Parquet Installation Instructions. Design Your Room using On-Line Floor Designer. After building your floor plan, you can estimate your project cost and share it through e-mail, all from within your browsers-no extra software required. For simple floor area and material quantity estimate use Floor Calculator. Please note that on-screen colors are not necessarily precise representations of actual product colors due to variance in monitor calibrations. Due to natural variations, actual product appearance may vary slightly from images shown. Colors, materials, designs and prices subject to change without notice. © 2019 Czar Floors Inc. All rights reserved. All designs are subject to the Copyright Law.